Undocumented Initiatives has launched a new spring program called Mariposas Creative Care. This project consists of weekly creative workshops that will promote self-care, self-discovery, empowerment, resiliency, and of course creativity. 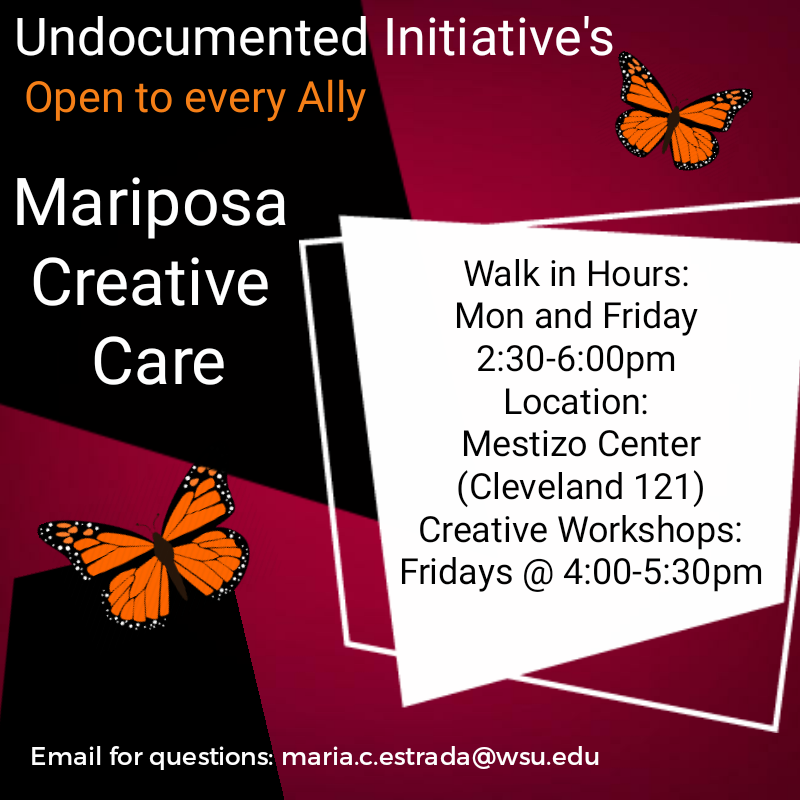 Supervision of a weekly safe-social-space for undocumented students (and allies) will take place in the Mestizo Center located in Cleveland Hall, Room 121. Activities in this safe-social-space include: study tables, art tables, board games, movie socials, family dinners, weekend community service, etc. The current policy to allow for DACA renewals could change very soon. The Trump Administration may ask a court to stop the order or announce a new change in policy. Initial applications and for examples of the types of evidence that are accepted, please see https://www.nwirp.org/wp-content/uploads/2016/03/DACA-Checklist-English-2016-version.pdf.